The grey rock is of hollowed form with dramatic perforated peaks and overhangs flanking the central cavity. 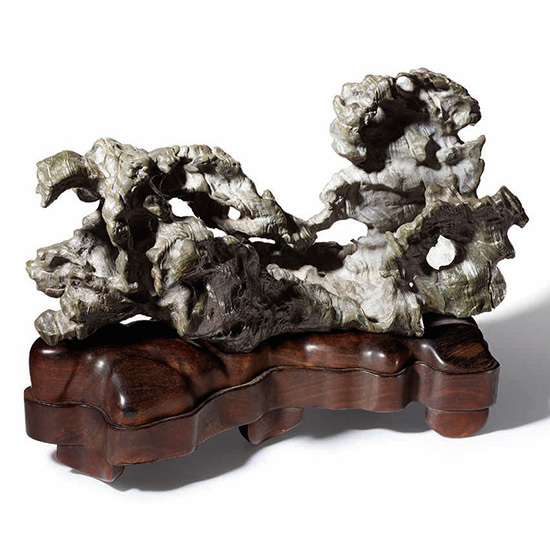 The horizontal rock is covered with wavy striations throughout and polished to a glossy patina. 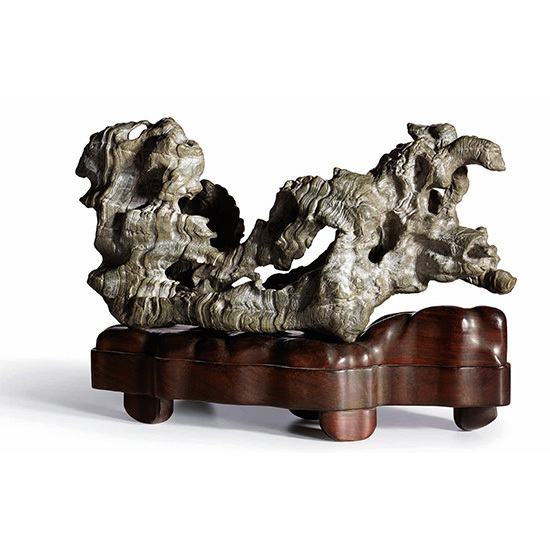 It rests on a thick hongmu Suzhou type base.